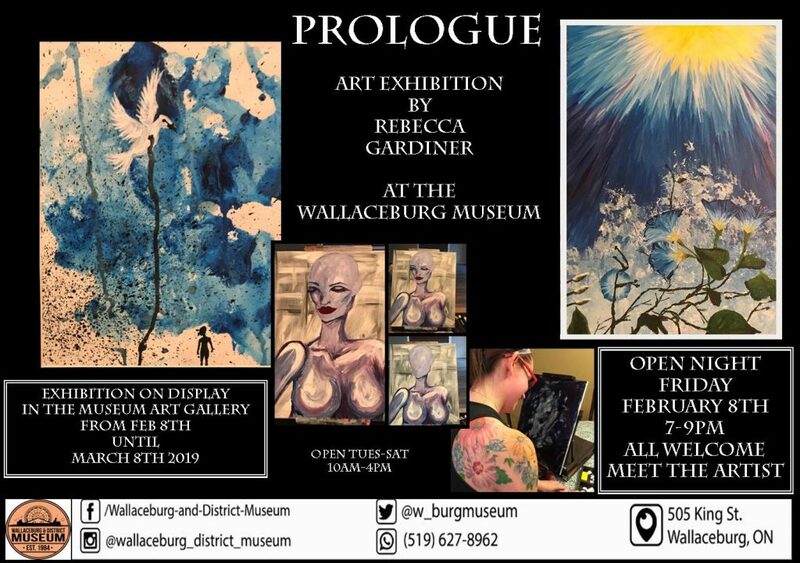 Wallaceburg artist Rebecca Gardiner displays her talents in our art gallery starting February 8th and running through until March 8th. Open house and meet the artist night is on Friday Feb 8th from 7-9pm . Refreshments available. Museum open.